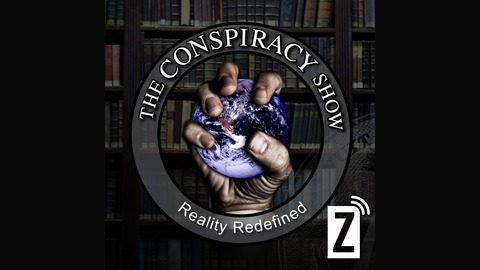 Well-known authority on things unusual, spooky, and conspiratorial  broadcaster Richard Syrett  hosts The Conspiracy Show. Every Sunday Night from 11pm to 1am on Zoomer Radio AM740 and FM96.7. Richard welcomes an experiencer who now helps others internalize and appreciate their experience. "His own case has demonstrated that the overwhelming majority of contact are positive, are paranormal instead of physical, and result in a profound psychological transformation for the positive. There are literally thousands, if not millions, who are being awakened and transformed by their UFO related contact with non-human intelligence. 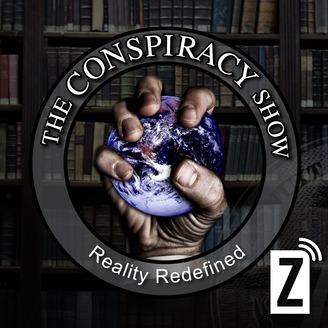 GUEST: ERIC MITCHELL has been counseling abductees of alien encounters for the last 5 year since having his own encounter and facing the harsh reality of this phenomena and its effects on ones life. He has dedicated his time to helping others who have had the misfortune of experiencing this phenomenon first hand. Along with educating the public and Ufologists on this subject, which has made him a highly sought out Speaker and Lecturer, on the topics of UFOs, Abductions at UFO Conferences and on Radio, TV, Podcasts, and Documentary Films. Eric is currently writing a book on his experiences and is work with others on a documentary film of his encounters. PARANORMAL NEWS ROUNDUP Richard welcomes back our resident paranormal pundit for her monthly feature of weird news headlines and how it affects you! GUEST: ROSEMARY ELLEN GUILEY is a full-time researcher and author in the paranormal and body-mind-spirit fields, with more than 65 books published. Her work embraces paranormal and unexplained phenomena, cryptids, UFOs and alien contact, spiritual and psychic skill development, angels and spirits, spirit communication, afterlife research, dreams and dreamwork, reincarnation and past lives, and other topics.